All plumbers are not equal. Midwest Plumbing is your #1 plumbing repair and drain service company. Homeowners everywhere have relied on us for honest, professional advice on all types of drain cleaning and plumbing services. Large jobs or small, we do it all. It doesn’t matter how large or how small the job is, we create a repair plan, we share that plan with you, we give you options so you can make informed decisions, and we simply work with you. When something is wrong with your plumbing, same day repair is very important to homeowners and commercial establishments because plumbing issues cannot always wait. An immediate fix is required in a majority of cases, which is why we at Midwest Plumbing keep the right parts and the right tools on-hand. We take pride in the fact that we are able to offer same day repair to our customers. We have the expertise and the tools to make sure the job is done right, although we do it as quickly as possible. We want to ensure that our services are as affordable as possible so that you will call us to come back whenever another problem comes about. It is our goal to be your go-to for all of your plumbing needs. Plumbing problems don’t wait for a good time to occur. Plumbing emergencies do not discriminate. You can be in bed and the next thing you know, you are on the phone with a plumber because there is water going everywhere. Our professional plumbers deliver fast, dependable service around-the-clock. So no matter when you experience a plumbing, we’ll come to your rescue with our superb plumbing services. 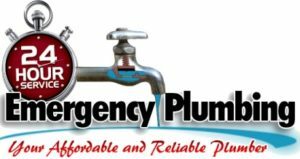 Same day repair is one of our specialties, so your emergency can turn into a full repair rather quickly, allowing you to move on with your day with the plumbing issue behind you. We service both residential and commercial plumbing. Just as a homeowner may need plumbing assistance, commercial establishments do too. Perhaps drains are backing up and need to be unclogged immediately before causing a flood in an area that should not be exposed to water. Then again, standing water in certain areas can create a hazard for employees. Regardless of what type of customer we are servicing, we will dispatch a technician to your home or business so that they can be there as soon as possible with the right tools.